Audit materiality is one of the most important concepts for auditors. MisstatementsTop Accounting ScandalsThe last two decades saw some of the worst accounting scandals in history. Billions of dollars were lost as a result of these financial disasters. In this article, we look at the 10 biggest accounting scandals in recent times. Many of these scandals were a result of the excessive greed of the, including omissions, are considered to be material if, individually or in the aggregate, they are reasonably expected to influence the economic decisions of users based on the financial statementsThree Financial StatementsThe three financial statements are the income statement, the balance sheet, and the statement of cash flows. These three core statements are intricately linked to each other and this guide will explain how they all fit together. By following the steps below you'll be able to connect the three statements on your own.. Materiality in audit comprises both quantitative and qualitative aspects. Audit materiality, as mentioned before, is not just quantitative in nature. There are numerous qualitative factors to consider as well. For example, if a company does not provide adequate disclosures regarding contingent liabilitiesContingent LiabilityA contingent liability is a potential liability that may or may not occur depending on the result of an uncertain future event. The relevance of a contingent liability depends on the probability of the contingency, its timing, and the accuracy with which the amount associated with it can be estimated. or related party transactions, it may be considered to be material. 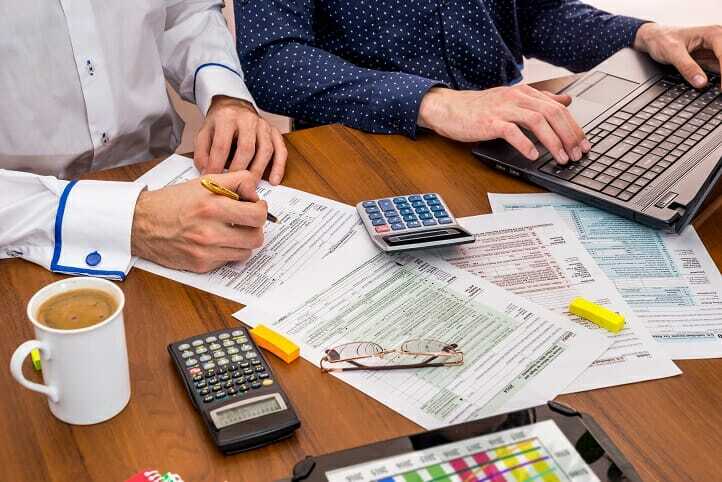 In addition, an inaccurate description of an accounting policy may also be material if a company chooses to use 50 years to amortize an asset when in the note disclosures it is stated to be 5. Small errors in financial statements can also lead to severe covenant violations. For example, if the company enters into a covenant with their local bank to maintain a current ratio of 1.0, a minute $2,000 misstatement can change a violation of the covenant to a maintenance of the covenant. Thus, an auditor needs to consider both aspects of materiality in an engagement. When dealing with material misstatements, there are several types of misstatements that auditors must consider. If auditors choose to stratify (i.e., pick out high-value or key items in a balance), these misstatements are known as IMOs. Furthermore, when auditors choose to pick a sample from the rest of the population, misstatements in this group are known as IMRs, which then must be extrapolated. Take a look at the table below. Let’s say that in this example, inventory is audited using sampling. The identified misstatement in the sample is $1,200 (an overstatement) and the likely misstatement in the entire population is $20,000. Accounts payable is audited with no sampling and $25,000 of understatements were identified. The materiality level is set at $30,000 after tax. FPM is $2,000. In these situations, the easiest way to approach it is to assemble an adjustments schedule. An adjustment refers to what change should be made to account for the misstatements. Take a look at the following schedule and note that credit balances are put in parenthesis. Comparing the $30,000 materiality threshold to the $27,000, we can conclude that the financial statements are not materially misstated. However, we must note that sampling was used when auditing inventory and so there is the potential for further possible misstatements. After adding the FPM value of $2,000, we can determine that $29,000 is still below the threshold and can reach the same conclusion.